The difference between the brothers Moses and Aaron shows up in stark contrast in the incidents of the exodus. While Moses repeatedly stood firm against the multitude, his older brother Aaron was more of a people pleaser. Another time when Aaron and Miriam insisted that they were God's mouthpieces as much as Moses was, God struck Miriam with leprosy but spared Aaron. Some commenters suggest this was because she was the instigator and Aaron the influenced. Still, God never put Aaron aside but continued to use him despite his character flaws and failures. When the Levite Korah questioned Aaron's high priestly position, God confirmed His choice of Aaron with censer fire that did not kill and a budding rod (Numbers 16 & 17). We can take encouragement from Aaron's life. 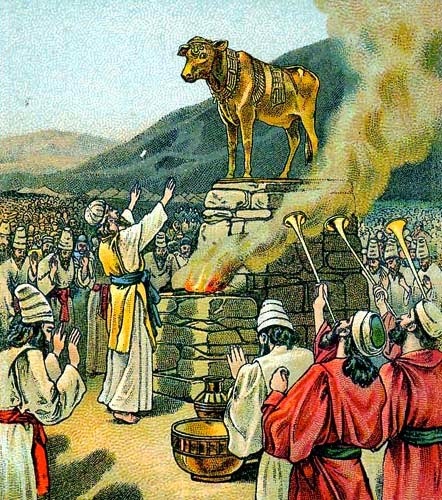 Even if, like him, we've blown it, with God there are second chances—though there may also be consequences to pay (in the Golden Calf incident, thousands died - Exodus 32:28; Miriam and Aaron's rebellion led to Miriam getting leprosy - Numbers 12:10-16). A breath that passes away and does not come again." - Psalm 78:38,39. PRAYER: Dear God, thank You for mercy toward my weaknesses and grace in forgiving sins and giving me more than one chance. Amen.